It’s been one year since Hurricane Maria smashed into Puerto Rico, causing catastrophic damage and bringing a major humanitarian crisis to an island that was already drowning under a monumental debt and a host of related problems. The widespread flooding that trapped thousands of residents in their homes, the almost total destruction of the power grid in populated areas that left residents without electricity for months, and the resulting food and water shortages severely tested the ability of public and private relief agencies to deliver aid. Just a few weeks ago, the number of hurricane-related deaths—estimated in the immediate aftermath at fewer than 100—was updated to 2,975, following a study by the Milken Institute of Public Health at George Washington University. And let’s not forget that Puerto Rico, an unincorporated territory of the United States, was facing huge financial problems even before the storm hit, including a barely functioning infrastructure and an exodus of its educated young people who couldn’t find jobs. In May 2017, under the weight of $73 billion in debt, the commonwealth filed for bankruptcy. As the Sept. 20 anniversary of Maria approaches, there remains an estimated $100 billion in storm damages to overcome. Full recovery, it seems, is still a long way off. Still, there has been progress, though slow and step-by-step. Electric power is reported to have returned to 99.99 percent of the island, the first wave of $18.5 billion in federal funds is due to arrive to help rebuild one- and two-family homes, and the sense of crisis has greatly diminished. We hope these efforts are the foundation of a stable recovery as Puerto Rico, with the help of the U.S. Congress, works toward developing a sound economic future. Puerto Rico and its people have had a tremendous impact on New York, and on New York’s Catholics, for generations, and we care deeply about conditions on the island. More than 1 million Puerto Rican-Americans call New York state their home, and many have family members living on the island. These New Yorkers are the children and grandchildren of the Puerto Rican migrants who made up the first large group of Hispanics to settle in the archdiocese in the post-World War II years, and their influence on our local culture has been strong. It was that first influx of Puerto Rican Catholics, in fact, that led to the development of a Hispanic ministry in the archdiocese that continues to thrive and expand, serving successive waves of Hispanic newcomers from throughout the Caribbean and Latin America to this day. With that history, it should be no surprise that Catholic New Yorkers were in the forefront of efforts to assist Puerto Rico in the aftermath of Hurricane Maria, and the efforts are ongoing. 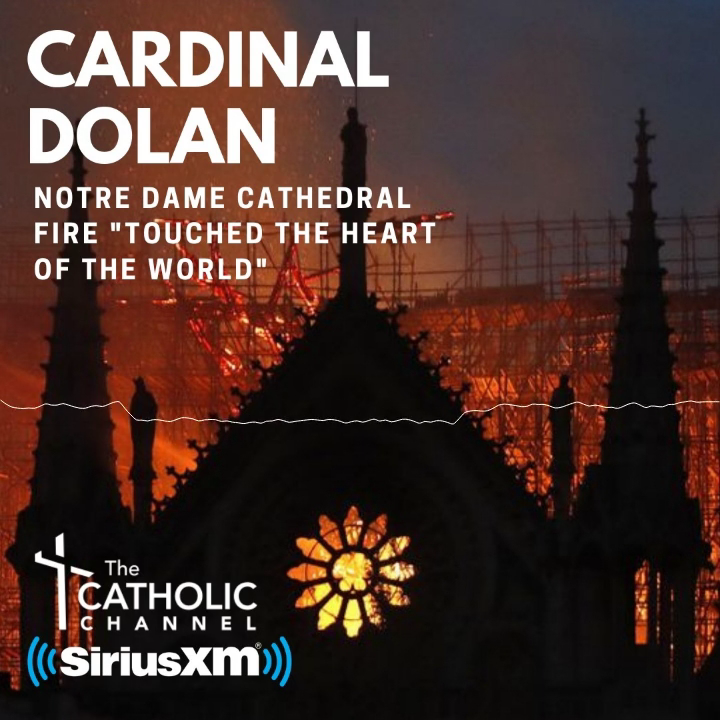 Cardinal Dolan was one of the first to respond, making a pastoral visit to the island 40 days after the storm along with Bishop Nicholas DiMarzio of Brooklyn and officials of archdiocesan Catholic Charities and the Hispanic Ministry Office. Archdiocesan Catholic Charities, under the direction of Msgr. Kevin Sullivan, has been heavily involved in aid efforts on multiple levels right from the start and continues to serve as a fiscal conduit and partner in the Estoy con Puerto Rico program, which makes grants to nonprofit organizations and small businesses seeking to get back on their feet. Gov. Andrew Cuomo and other prominent New Yorkers also have made numerous trips to Puerto Rico to deliver aid and assess the need, and we applaud those moves. As Puerto Rico enters its second year of recovery, we call on our charitable and governmental agencies to remember that the island still needs help and to commit to standing with its people in their struggle.